Hi everyone, I'm back!! I know it's been an incredibly long time since I've written anything, and I'm sure most of you forgot that I even had a blog! Lets just skip over all of my excuses and just say, I'm glad to be back. Also, I forgot how hard it is to keep something like this going. I've been gone so long that I'm not even sure how to begin! But let's begin with the most recent. Asturias has a very different atmosphere than La Rioja, where I lived last year. Also, it has a climate different than any I've ever lived in before. First of all, it rains a lot. In Colorado it hardly ever rains, and if it does, it only lasts about 15 minutes. Here in Asturias if the weather is nice, people go out and take advantage of it because it most likely will not stay nice for very long. In Logroño, where I lived last year, people go out in the evenings to get a pincho. Each bar has their house pincho which is their most popular. In Gijón people go out in the evenings to get a drink. With your drink they typically give you a tapa, a piece of bread with chorizo or cheese on top. It's a different feel going out to get a drink instead of pinchos and I'm not sure how much I like it yet. I've also moved from wine country to cider country. Cider is made from apples and I haven't yet learned how it's made. It typically has a low alcohol content and has to be poured into the glass from great heights. The proper way to pour cider (escanciar) is to hold the bottle as high as you can in one hand, and the glass as low as you can in the other hand. The stream of cider is caught by the glass, which "breaks" it, and adds carbonation. Then the drinker has to drink the entire glass really quickly before the bubbles go away, but luckily they don't (usually) pour much. The main awesome-ness of Gijón is that it has a beach!! The city itself is fairly industrial, but the area along the beach is beautiful, and the walkway along side of it is usually full of people. I leave you now with pictures of my new city!! This is Begoña Park and San Lorenzo church right outside of my house. Beautiful! Plaza del Instituto or "El Parchis"
Someone special enjoying lunch way too much. It's hard not to when a menu del dia only costs 10 euros and they give you so much food you might explode! Spectacular waves...part of the city is actually built on the beach, so when the tide comes in, a lot of the beach disappears. Also because of this, the foundation of the city is slowly being eaten away by the ocean. Another famous statue. I think every person who has ever visited this city has a picture in front of this sign. Another view from across the way, including the statue on the far left "The Emigrant's Mother"
This year has started off well here in Gijón. I like my job and the teachers I work with, I like my roommate, and I like the new friends that I have made through the program. There are also difficulties, for example, living a 6 hour bus ride away from my boyfriend, but absence makes the heart grow fonder, right? Gijon looks fantastic, like a combination of boardwalk-y San Sebastian and elegant, leafy Santander. 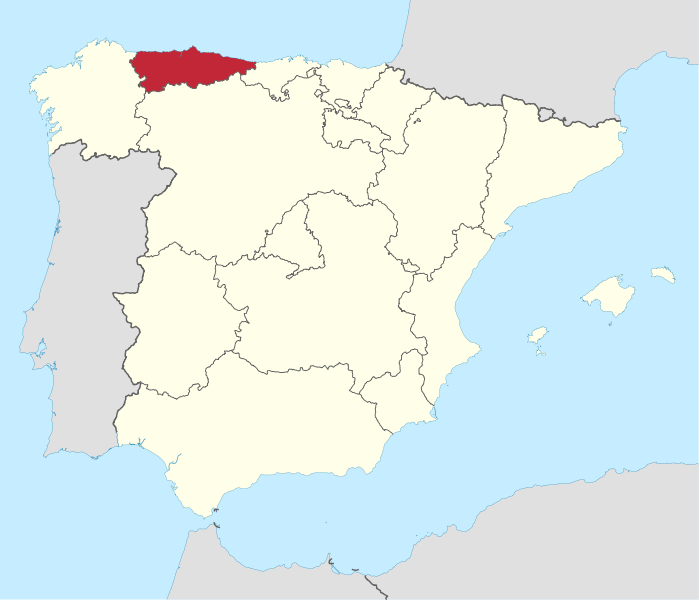 I used to study abroad in Castilla-Leon, and it's a shame I never made it to this city. I'll have to rectify that the next time I visit friends in Leon! !